Regular photo contributor, Gregg Thompson, visited Mount Rainier in Washington State, hoping to find White-tailed Ptarmigan in their pure-white winter plumage. He didn't find any. 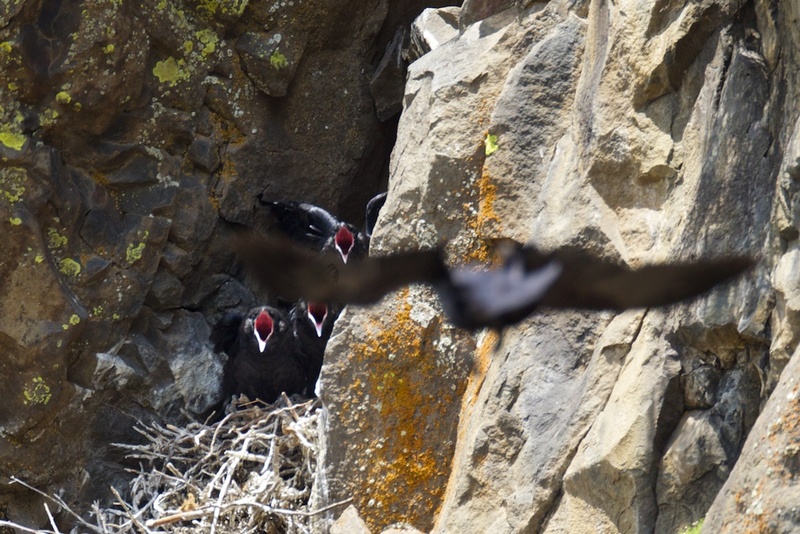 Actually, the first bird he saw –- and only when he returned to the parking lot -- was this Common Raven. But the result was worth the trip, at least in our eyes. To see these beautiful corvids on a snowy background is stunning. So then, Gregg decided to get creative. 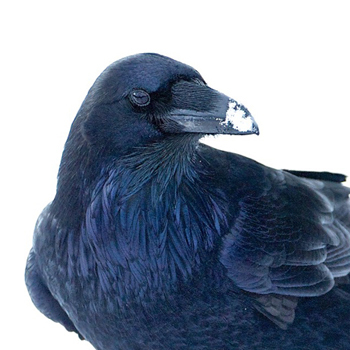 He writes: "The ravens were on the snow, and after looking at my pictures at home, I decided to give them the white background look. It sort of went with the flow. It's hard to get good exposures on the raven without over-exposing the snowy background, so I worked on smoothing out the snow shadows. I like the look." 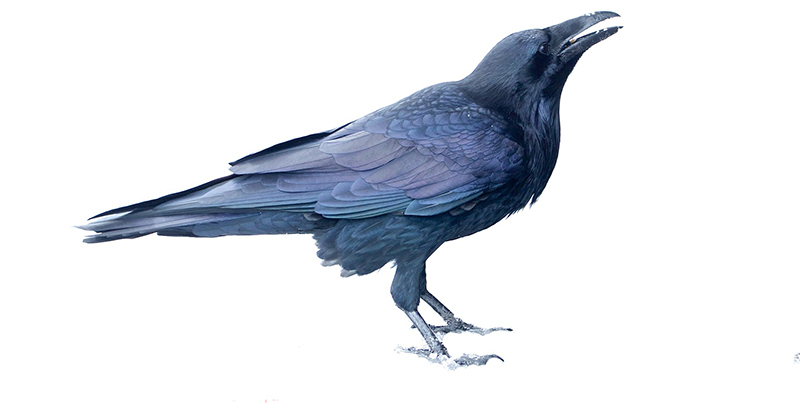 Learn more about Common Ravens on BirdNote: Ravens and Wolves; Raven's Love Song; and Raven, Dog, Bone. 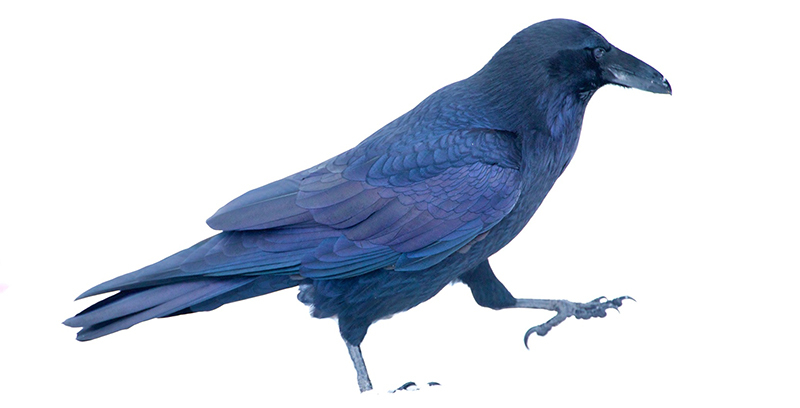 And look at videos of ravens playing in snow on our blog post, Do Birds Play?